Please listen to 30-second clips from our album I Wanna, Iguana! This 12-track children's album was released July 11, 2015. The first 6 tracks include vocals, the last 6 tracks are instrumental sing-a-long versions of the first 6 songs. 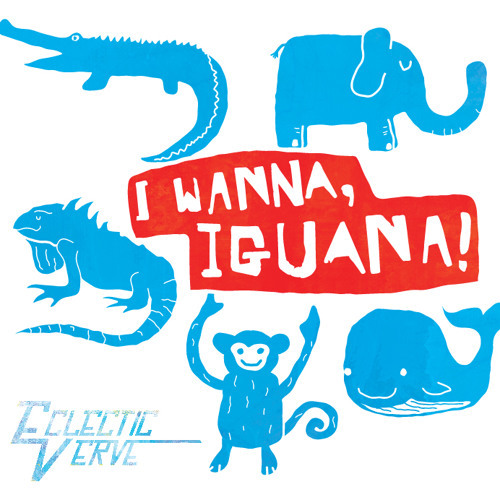 The album title - I Wanna, Iguana! - is not referring to desiring a pet lizard but rather a statement along the lines of, "Yes! I want to have fun!" While the lyrics and melodies of these songs are fun and catchy, the underlying music is different from the typical kid pop format and instead reflects our classic rock and roots-type influences. You'll hear tunes similar to music by Phish, The B-52s, The Moody Blues, and Bob Marley. The song titles are detailed below and are infused with lots of creativity, imagination, animals, and of course fun! Users who like I Wanna, Iguana! Users who reposted I Wanna, Iguana!